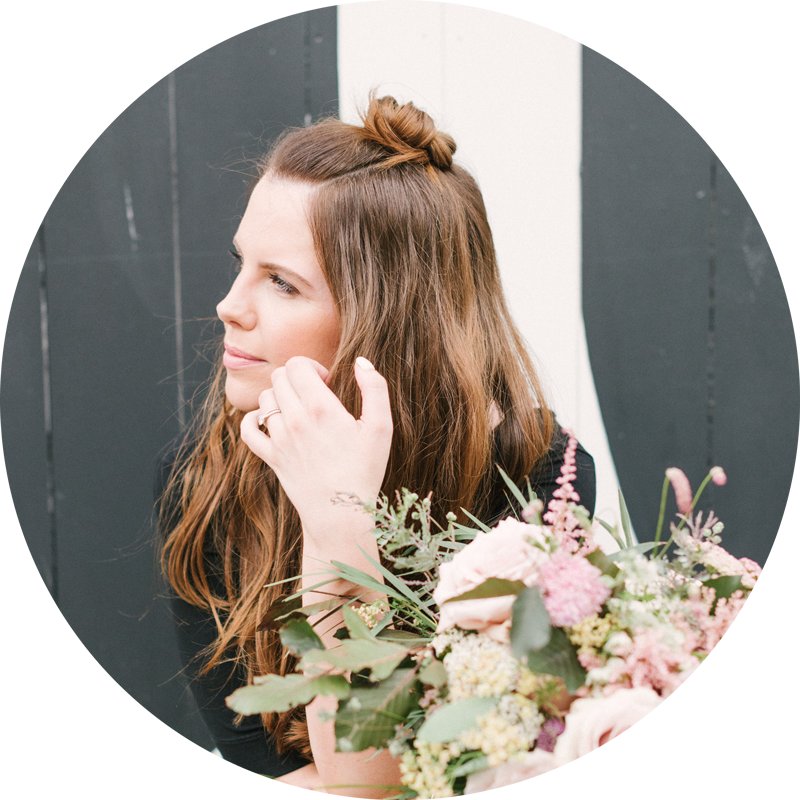 Our lovely in-house florist is back with her next instalment of The Look! Amber Persia has kindly crafted a beautiful inspiration piece focusing on Rustic Romance and the elements needed to pull together a truly earthy and romantic look. Oh, and there could only have been one venue as the backdrop… Almonry Barn. Layers of textures – naturally aged wood, reclaimed slate, cast iron, hand-dyed muslin – together with the exquisite backdrop of the ancient walls of the Almonry Barn, provide the rustic elements for this look. Contrast with arrangements tumbling with ‘Albertine’ scented garden roses, ‘Cafe au Lait’ dahlias, hardy geraniums, cow parsley, English lavender and grasses, in a muted palette of soft apricot pink and pale lavender, and you have unashamedly romantic florals. However, Rustic Romance is so much more than just old details and some beautiful flowers; it’s about generosity, hence platters of delicious food for guests to help themselves to; it’s about abundance, so tables are ladened with footed urns of fragrant thyme plants, extravagant floral centrepieces, simple pillar candles, exquisite etched glasses; and yes it’s about romance, so what could be more romantic than a single perfect rose on each place setting..? 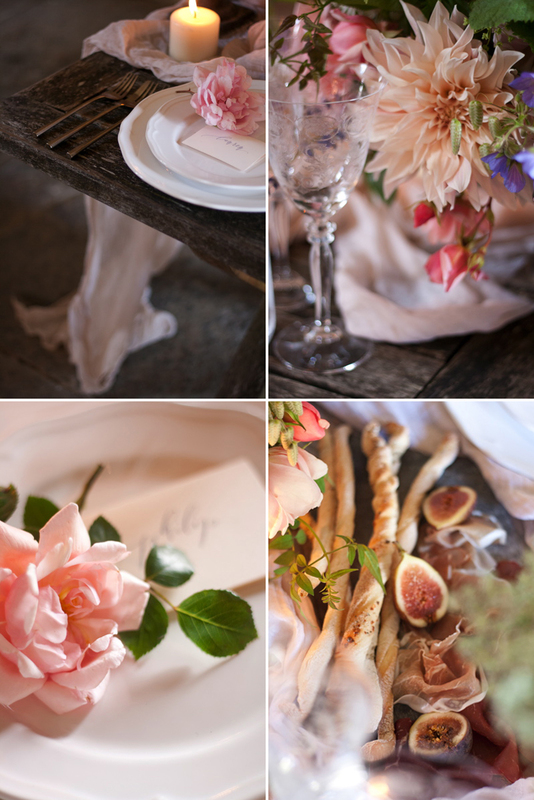 To create the Rustic Romance look, hand-dyed muslin is casually draped across the aged wooden table, softening the feel of the faded wood, introducing just a hint of colour, and acting as a foil for the hard elements of the tablescape. These elements include reclaimed slate tiles, the ideal size to pile with cured meats, local goat’s cheese, home-made breadsticks and ripe figs, perfectly in keeping with the rustic theme, and cast iron urns planted with fragrant thyme plants or overflowing with summer blooms. 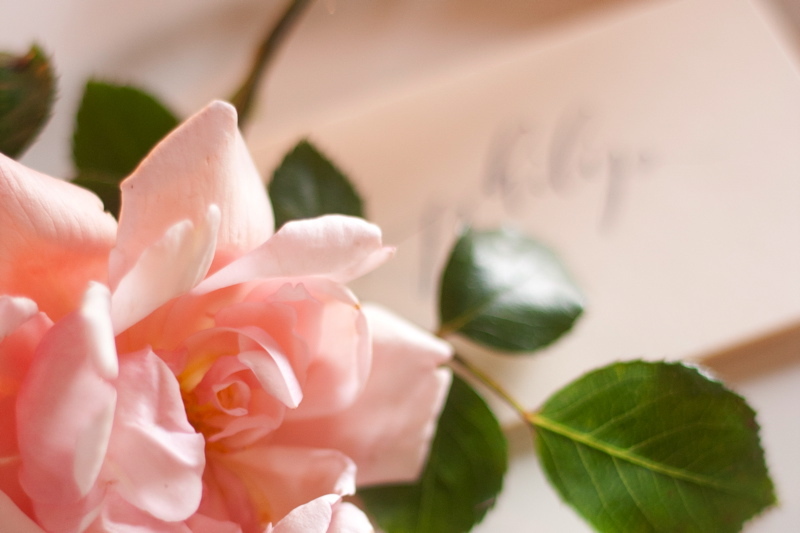 Generously proportioned etched glasses add to the bountiful feel of the table, further enhanced by the hand calligraphy name cards, chunky candles and finishing detail of a blowsy rose to highlight each guest’s name. 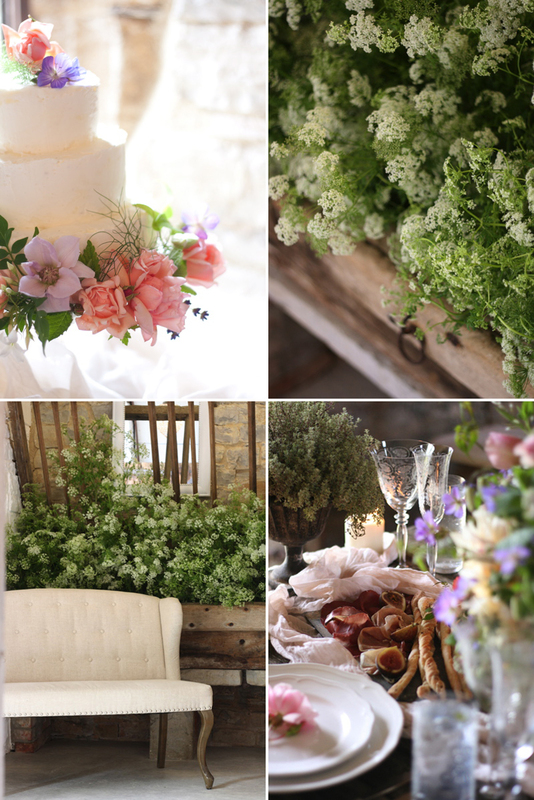 A home-made rough iced cake, decorated with fresh flowers and delicate herbs, fits the Rustic Romance theme to perfection and, when displayed in one of the barn’s deep windowsills, becomes part of the decorations, not simply the cake. The original animal mangers are the ideal container for armfuls of cow parsley; with a venue as unique and beautiful as Almonry Barn, it pays to work with the existing structure and design elements to use them to your advantage. 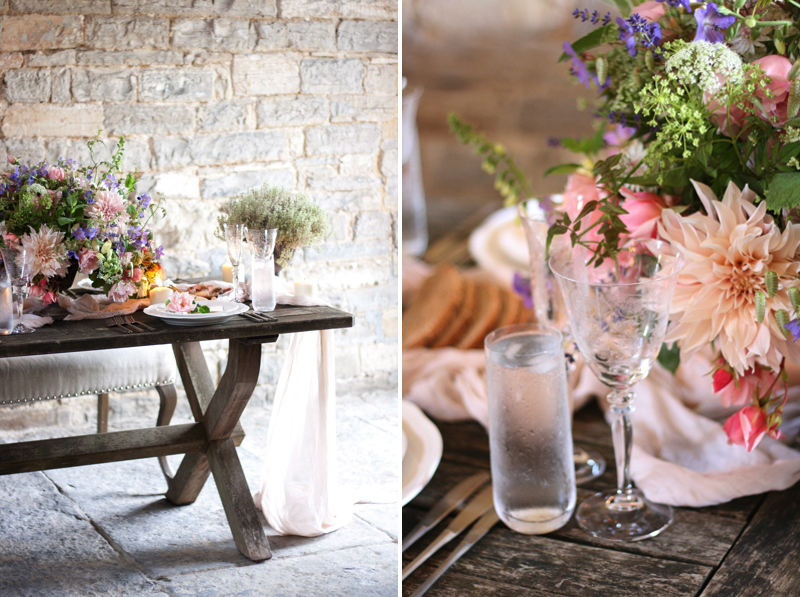 Thank you so much to Amber and Louise at Almonry Barn for today’s super pretty inspiration!